This is a fully interactive online qualification. The most effective way to become a professional trainer. 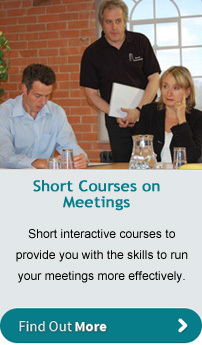 A range of e learning courses are available now. 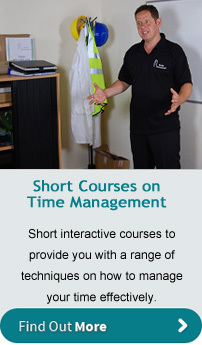 All our courses are highly interactive and you can dip in and out to suit your time availability. For more information and to purchase, click on one of the links below. 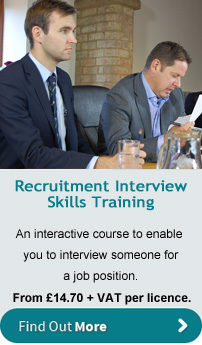 Our latest e learning title is Recruitment Interview Skills. Interviewing and recruitment for a job position is a difficult task. No recruitment and assessment process is perfect however a behaviour based process will enable you to identify the behaviour of a candidate in the past and use this evidence to predict their likely behaviour in the future in a similar situation. Learn how to prepare for the interview by identifying the key behaviours and skills you need the successful candidate to be able to demonstrate. Develop a range of questions which will help you gather the evidence you need from the candidate. Learn how to use the STAR process to obtain the best quality evidence. Use an objective assessment process to help you make you final decision. Purchase a 30 day licence for this course for only £49 plus VAT now! You know the story. Suddenly you are told to organise some meetings at short notice. 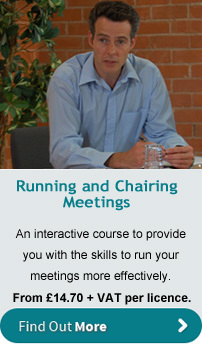 No training and no idea how to chair a meeting or how to take minutes. Not much time to find out either. 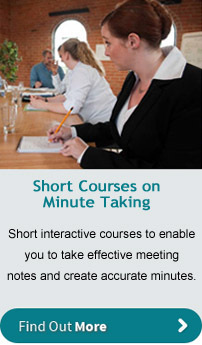 So, you need to start with Time Management Skills e learning course, and you can then schedule the time to work through the Running and Chairing Meetings e learning course and Minute Taking Skills. Once you have mastered all these skills you will be ready for promotion or even to move to another company. Work through our Job Interview Skills online course and you will be ready for your next interview. 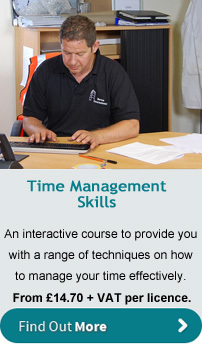 Tony Desborough, Production Manager at Barton International will guide you through the techniques he has learned from attending a Time Management Skills course (run by The Development Company of course). He will introduce you to a technique which you will apply it to your own situation. This experience based learning process helps you to start using the techniques immediately. The sooner you start, the sooner they become new habits. 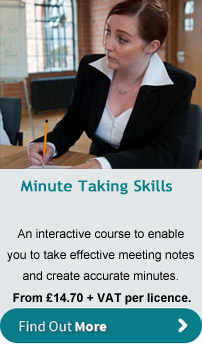 Includes how to chair a meeting, manage the behaviour of the group, deal with different personalities and work effectively with the minute taker. This will provides a practical and hands on approach to help you with accurate note taking and to produce effective minutes from meetings. Both courses have been designed to our high e-learning standards. 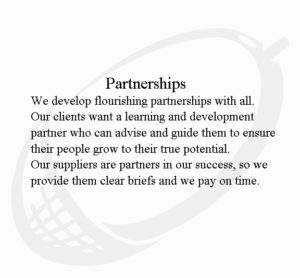 This means that the content is interactive, suits all four learning styles and provides you with specific information about using the learning back in your workplace. Most people who need to apply for a job either have little or no experience in job interviews or have just come out of a long term job position and will be 20 or so years out of date with current techniques used to screen candidates. 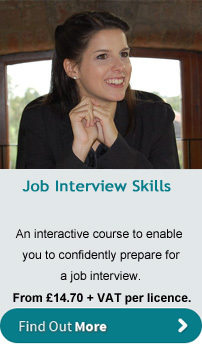 This Job Interview Skills e learning course is an ideal way to prepare. Work through the course as you plan and prepare for your upcoming job interview. The course will give you all the help you need to obtain the appropriate job documents, analyse the job, prepare your examples and perform confidently in the interview. This is your opportunity to take control of your future. Manage it wisely! These courses are available as Ready Made DVD Training Packages, complete with Facilitator’s notes, all the handouts and activities.